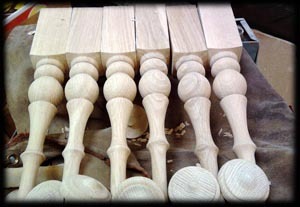 With over 40 years of woodturning experience behind us Redkite can offer you a quality product, on time and most important....realistic cost. 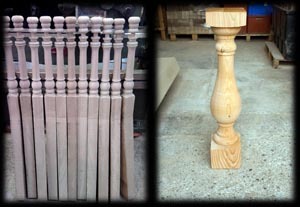 Originally based in Stokenchurch, High Wycombe the traditional home of woodturning for the furniture trades we re-located to Oxfordshire in 2001 to give us more space and better access...just off the M40. 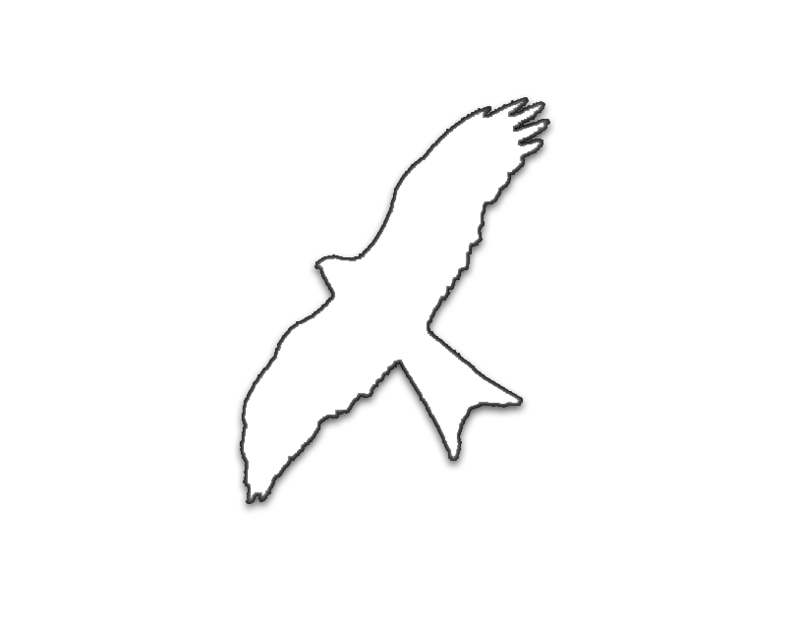 We have earned an enviable reputation for our involvement in the developing of new products, working closely with individual designers or companies. 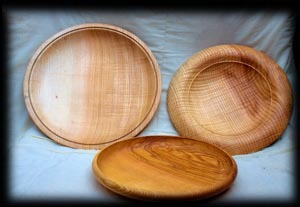 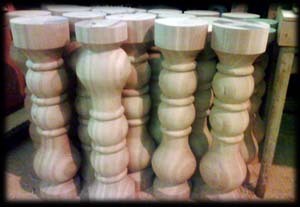 Our workshop is equiped for traditional hand turning as well as rotary knife lathes for multi-runs. 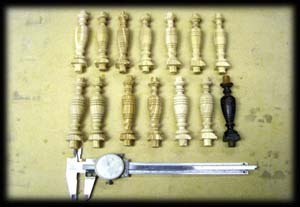 Also the more specialised square, octagonal or oval sections. 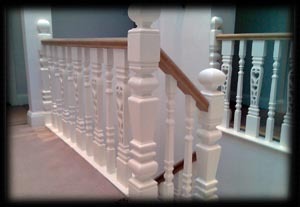 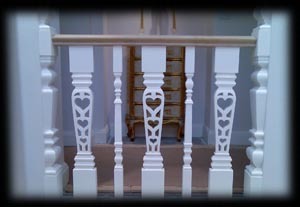 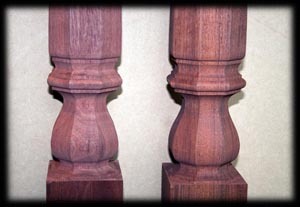 We will match any existing turnings i.e.Stair balastrades or Newel posts you just supply the pattern or drawing and we`ll make the tooling to the exact specification. 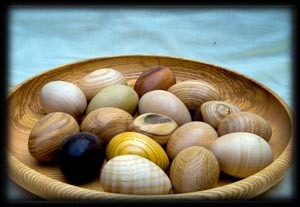 Even the unusual we take in our stride. 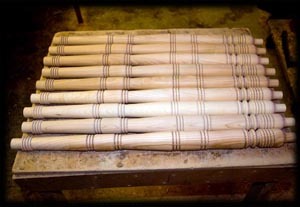 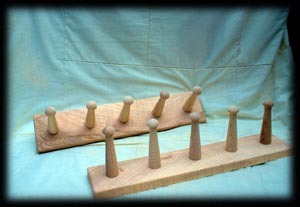 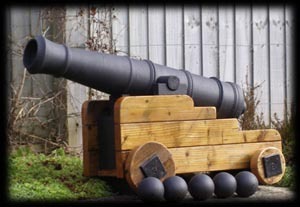 A set of posts for a Georgian four poster, followed by a canon barrel scaled down to 1 m.